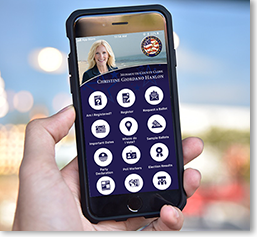 Download our Mobile Elections App for Monmouth County! 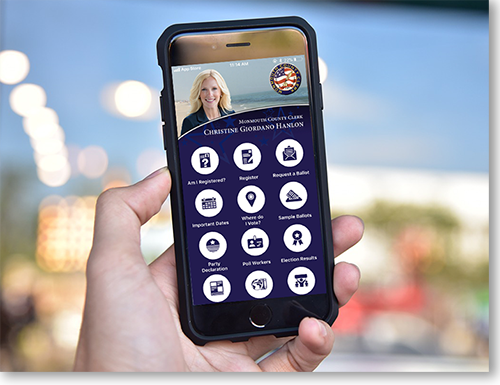 Monmouth County Clerk Christine Giordano Hanlon encourages Monmouth County residents to download our mobile elections app, which give voters easy access to all information regarding elections and voting. Users can find out if they are registered to vote and download voter registration and vote by mail forms from the convenience of their smart phone. By scrolling through the app’s menu, voters can also find their polling place, access sample ballots, and view election results. The app also features push notifications to immediately notify users about important voter deadlines.